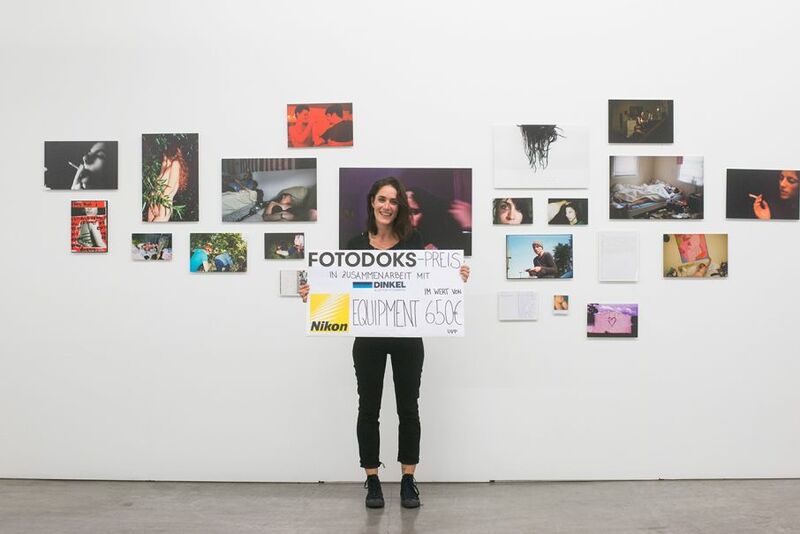 After an eventful and intensive festival week with numerous lectures, talks, films and performances, the Fotodoks Prize was awarded to one of the participating photographers on Saturday evening. The prize is an appreciation and support for a work that is convincing through its content and personal approach, relevance and integrity. In 2017, the prize goes to the American photographer Annie Flanagan, whose work We Grew Up With Gum In Our Hair has deeply touched and impressed the Fotodoks jury. This year's prize was sponsored by Foto Dinkel and includes Nikon equipment worth 650 €. Annie Flanagan’s (*1986) work focuses on the deep roots of gender-based violence in American society as well as the mental health and social problems that accompany it. She tends to begin projects that are informed by experiences she has had, or that those close to her have had. Then she looks at how those experiences exist on a larger level and in different situations. We Grew Up With Gum In Our Hair began when her best friend, Hannah, left her abusive boyfriend. In this relationship Hannah experienced long-term exposure to emotional trauma, in which she had little control and no hope of escape. The project is part of a larger body of work called Deafening Sound and focuses on the correlation between domestic violence and post-traumatic stress disorder.